Buildings, bridges, tanks, dams, pools, pipes, drains… the modern construction industry would lost without concrete. Concrete is a durable and strong construction material that is relied upon for just to name a few. 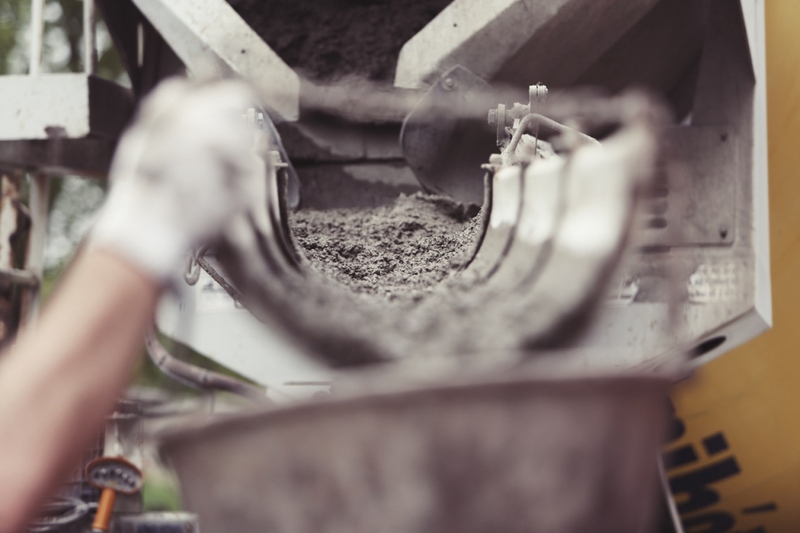 However, concrete is porous and permeable; water and water vapor can penetrate concrete and cause deterioration and damage, especially in cases where the concrete is reinforced by corrodible materials like steel. Waterproofing concrete structures is essential to ensure a long and effective working life. Cementitious waterproofing is a waterproofing method for concrete that uses cement-based polymer coatings to create a barrier to water and moisture. In this article we look at the benefits and applications of cementitious waterproofing, as well as the manufacturers and cementitious coating products available in the US. Concrete may seem indestructible and will likely endure long after all of us are gone, but it is not infallible. The porosity of concrete makes it particularly prone to attack from any chemicals that it absorbs. Concrete without waterproofing will absorb water, salts (in particular chloride ions), and contaminants, leading to the corrosion of the reinforcing steel encased within. This is what is generally referred to as ‘concrete cancer’, where water, salt, or chemicals deteriorate the concrete to the point that expansion and cracking can lead to failure. The advantage of including a polymer in a cement-based coating is that it gains a degree of flexibility (though not enough to withstand movement), it increases adhesion, makes the coating waterproof and chemical resistant, but it also stays breathable. This means the vapor from the concrete will not get trapped and cause blistering. There are a number of cementitious waterproofing manufacturers and contractors operating in the US. Flexcrete (now owned by AkzoNobel and trading under the Intercrete name) is probably the best known product manufacturer, with their Cementitious Coating 851 (Intercrete 4851) being a leader in the field. Below are some of the cementitious coating manufacturers working in the US and the products they provide. CEM-KOTE CW PLUS Crystalline cementitious waterproofing A portland cement based coating for new or existing water storage and water treatment concrete structures, digesters, clarifiers, and utility vaults. For negative and positive side waterproofing. Intercrete 4851 Flexible cementitious waterproofing A two part, water based epoxy modified coating for the protection of concrete floors. Hardwearing, durable, low permeability and high chemical and abrasion resistance. MasterSeal 582 Flexible cementitious waterproofing A two part, waterproof, portland cement based coating for above and below-grade exterior concrete and masonry. Resistant to mold and mildew, and breathable. Sikagard FlexCoat Flexible cementitious waterproofing A two part protective coating consisting of a rubber-like polymer liquid and a cement aggregate blend. Extraordinary adhesion, light traffic resistance, and breathability, for a range of purposes. In 1988, scientists from the Vinci Construction Technology Centre in Bedfordshire, UK, applied Cementitious Coating 851 in a 2mm (1/16 inch) thick film to a concrete plate and sealed it into a chloride ion diffusion cell. They were testing for the coating’s ability to act as a barrier to chloride ion diffusion, a key cause of concrete cancer and failure. Nearly three decades later and Flexcrete is now owned by AkzoNobel (and is known as Intercrete 4841), but that original layer is still going strong. Tests show that the coating shows no signs of deterioration in spite of constant exposure for 30 years.